Hardwood crook handle stick with metal ferrule. It includes an elegant spiralled design running the length of the shaft. 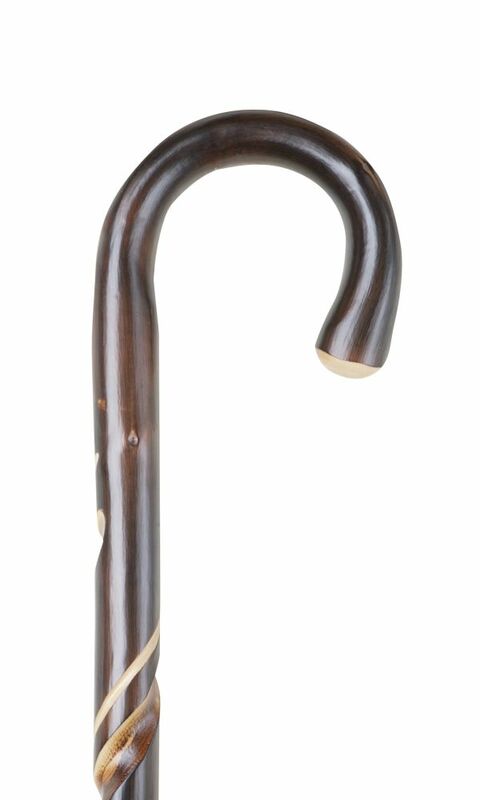 These sticks have a lacquered finish and are ideal for someone looking for a dressier or more formal cane. Height 36" (91cm).